The sale of a painting by Govert Flinck for a higher price than some Rembrandts have fetched in recent years prompts a reflection on the ongoing (and never-ending) revision of our scale of values. 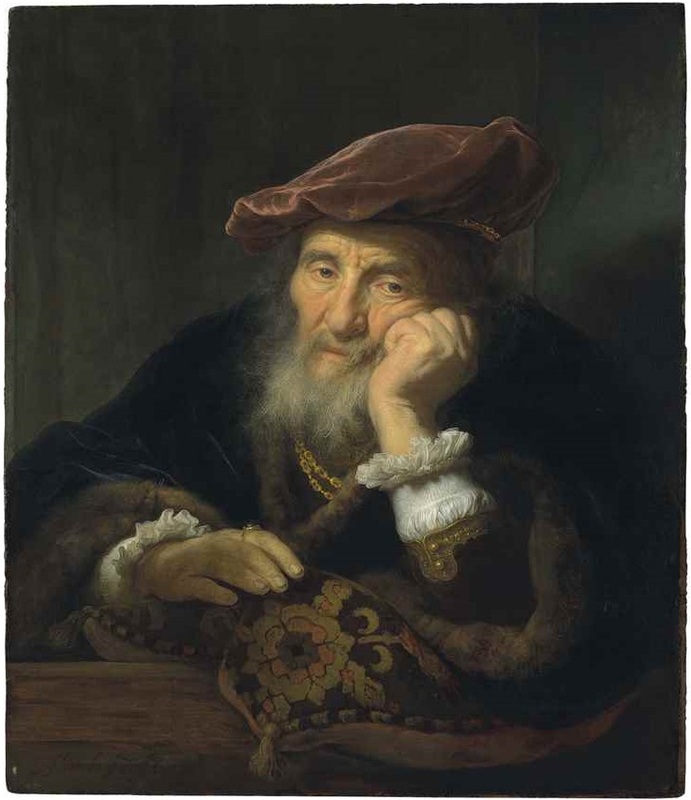 Last week a painting by Govert Flinck was sold by Christie’s in New York for $10,327,500. It shows an old man looking past us out of a window with a tired, unfocused gaze. He leans his head on his left fist, bunching up his cheek. His right hand rests limply on a brocade cushion. Whatever is getting the old man down, it does not seem to be money troubles. He is dressed in finely tailored garments of velvet, fur and cambric, with a cloisonné chain and pearls adorning his sleeve. Nor is it neglect. His beard and moustache are neatly barbered. He may have a bit of dirt under his fingernails, but they and his cuticles are trimmed with care. 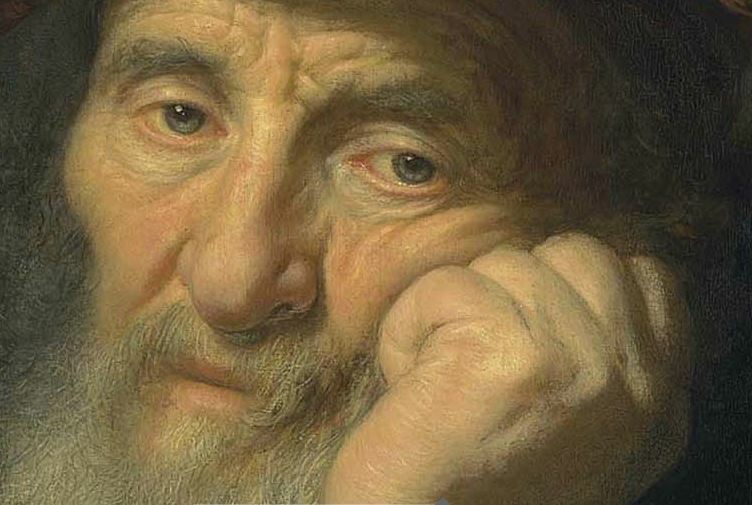 This is a clean old man, detailed in painterly perfection by Flinck. What then is bothering him? If it were the loss of a loved one I would expect sadness touched with anger where I see nothing but listlessness. All I can think of is that he is suffering from what a Dutch citizens’ initiative has dubbed the “voltooid leven” (completed life) feeling, the depressing conviction that life has nothing more to offer and that death would be a blessing. In its great mercifulness, the movement is pushing for legislation that would entitle Dutch nationals who are compos mentis and at least 70 years old to professionally assisted euthanasia. This highly subjective and anachronistic interpretion is the kind of thing that as an art historian I avoid. (Not all do.) But the painting – a “tronie” or non-portrait face painting – invites that kind of response. Without the conventions associated with portraiture or a standard iconography it seems to ask us to explain what it is about. This open invitation, with no sanctions for guessing wrong, gives a tronie special appeal. It is the most interactive genre in Dutch painting, depending on the viewer to give it meaning. Blankert had two main objections to their book. Rosenberg and Slive read back into the past the twentieth-century hierarchy of Dutch artists. They devote entire chapters and a skewedly large number of pages to Rembrandt, Frans Hals and Johannes Vermeer, at the expense of all their contemporaries. They make things worse by judging the quality – and qualities – of hundreds of good painters from the Golden Age against what they see as the unequalled achievements of the Great Three. The things he represents have an over-distinctness compared to Rembrandt. He was less able to subordinate parts of his composition to a higher principle and he did not grasp the function of Rembrandt’s half-tones, which create a transition between forms, relating them to the whole work. Blankert likens judgments of this kind to proclaiming at table that the steak is heartier than the stewed fruit. It implicitly denies that Flinck could have had different aims as an artist than Rembrandt and that he was very good at achieving them. If the buyer of Old man leaning in a casement was bidding on what he saw as a highly accomplished Flinck rather than a misunderstood Rembrandt adaptation, as I’m sure he (or she? not likely) was, then he was paying indirect tribute to Albert Blankert. Blankert’s other main complaint about Rosenberg and Slive is that they impose a restrictive, even nationalistic conception of the Dutchness of Dutch art onto a school that was notably open and varied. These writers see “a gradual moving on towards a unified culture” and therefore feel obliged to say of the Utrecht Caravaggists, for example, that they were “not as alive to native instincts” [as Rosenberg and Slive thought they should be]. Never mind that the Utrecht Caravaggists were all native Dutchmen and that some of them never left their country. Never mind that there is not a specialty in Dutch art that does not have porous borders with Flemish, French and/or Italian schools. The role of the Rembrandt Research Project (RRP) in this process is more deflating than elevating. It has called attention to the work of Rembrandt pupils, but mainly, in the style of Rosenberg and Slive, as a foil for the superior work of the master. 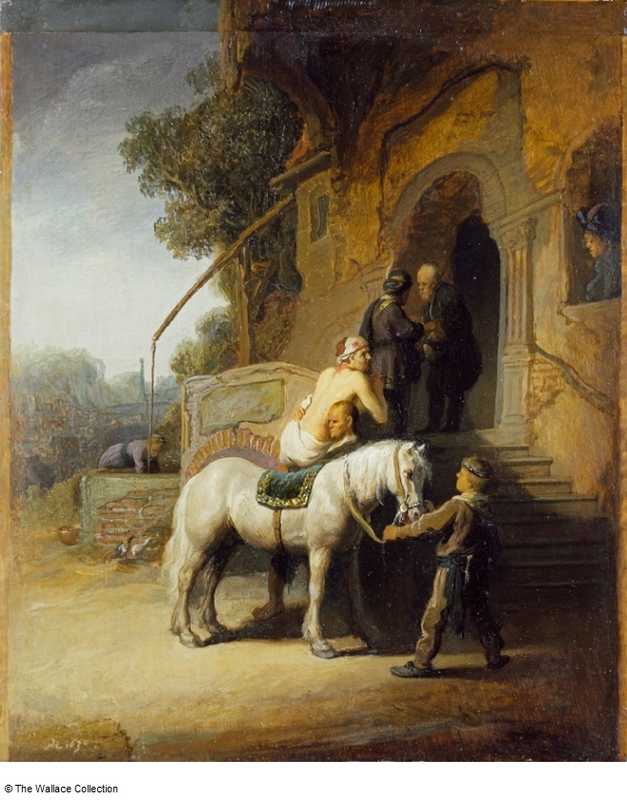 A typical re-attribution to Flinck of a painting previously given to Rembrandt is The good Samaritan in the Wallace Collection. The RRP wrote disparagingly of it in vol. II of A corpus of Rembrandt paintings (1986) that it “lacks rhythm in the brushstroke”; the “forms are sketchily essayed”; the central details “do not offer the succinct suggestion of form … that one has come to expect of Rembrandt”; while “the definition of the shapes … has remained flat” and “the landscape … trails far behind … comparative material in Rembrandt’s work” – making it good enough for an “acceptable” attribution to Flinck. This is not the kind of testimonial that buoys up the market for the Rembrandt school. Nor would that effect have been achieved when in 2015, in vol. VI of the Corpus, Ernst van de Wetering restored the painting to Rembrandt without mentioning Flinck or re-evaluating the features that in 1986 the RRP found so disappointing. Revision aside, there is something unexplainable about the price that was paid for Flinck’s Old man. On 6 December 2011 the same painting was sold by the same auction house, in its prime London location, for 2,337,250 British pounds, $3,646,110 at the time. 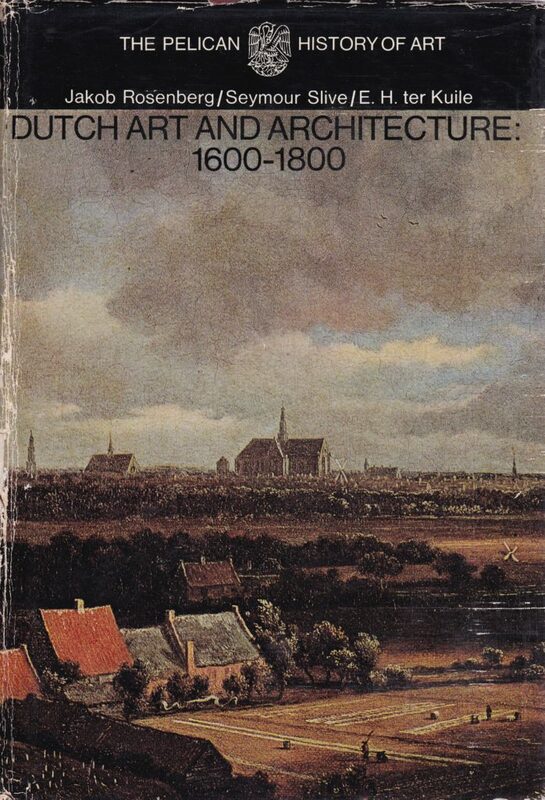 The same well-informed dealers in Dutch painting and presumably the same major collectors saw the painting then and knew as much about it as they knew in April 2017, from the excellent catalogue information. The improvement of the economy since 2011 cannot be the whole answer. On 6 December 2011 the Dow Jones closed at 12150, on 27 April 2017 at 20981. That is an increase of 72%. If we add that to the hammer price of the Flinck in 2011, we get $6,271,309. The jump from there to $10,327,500 is still an incredible 65%. At least two bidders were engaging in a piece of high-stakes speculation that cannot easily be related to artistic appreciation or the availability of money. As often as I have expressed doubt that prices in the art market reflect intrinsic values, this sale leaves me wondering guesslessly why I was right. © Gary Schwartz 2017. Published on the Schwartzlist on 5 May 2017. With thanks to Tom van der Molen, whose monograph and catalogue raisonné on Govert Flinck is eagerly awaited. At the Amsterdam Museum, where he is curator, he is one of the organizers of a forthcoming exhibition on Flinck and Ferdinand Bol. The emphasis will lie on the classicizing work they made after moving away from Rembrandt’s style. Their Rembrandtesque production, to which the Old man can be reckoned, will be dealt with in a complementary exhibition at the Rembrandt House Museum. Mondadori Education has invited me to participate in the presentation on 12 May at La Sapienza University in Rome of a new survey book on art history, Dentro l’arte, by an old but still young friend, Irene Baldriga. It’s been ages since Loekie and I were in Rome, and I seized on the invitation gratefully. We are also going to spend a day-and-a-half in Naples, finally. I haven’t been there since the end of June 1958, on my first European landfall, and would like to see how things are shaping up. A few days after we get back we are off again, to Warsaw, for CODART TWINTIG, the twentieth annual congress of the network organization for curators of Dutch and Flemish art that I founded, with the Netherlands Institute for Cultural Heritage, in 1998. Two curators from Warsaw, Maria Kluk and Maciej Monkiewicz, were the first ones to come to the first CODART congress, at the Mauritshuis, and I am forever grateful to them for that. The CODART ZEVEN congress and study trip were devoted to Polish collections and also produced precious memories. Having been a student of Slive and Rosenberg and that whole era at Harvard, we were drummed the canon into our souls, and so much of it still drives the market. I hadn’t seen the Flinck “Old Man” before, and it blew me away. I think all of these 20th-century art-historical hierarchies really need rethinking. In the 15th-century research I do, and this is most evident in the pre-oil era, it is clear that painting itself was on the low end of the value totem pole; this is particularly true with the furnishing of chapels, where embroidery and metal objects were of far higher value. Altarpieces and such were clearly thought of as auxiliary ornamentation; a sort of economical pictorial indicator of the mystery of the mass. It’s only with the events of the 16th century, when the market began to change and the oil medium became valued in itself as a way to really show pictorial richness and all of its implications, that painting’s value began to be rethought. Certainly before 1400, in Western Europe, “hand of the master” simply meant a guarantee of material and price, a higher level of skill, rather than emotional, artistic or inventive content. 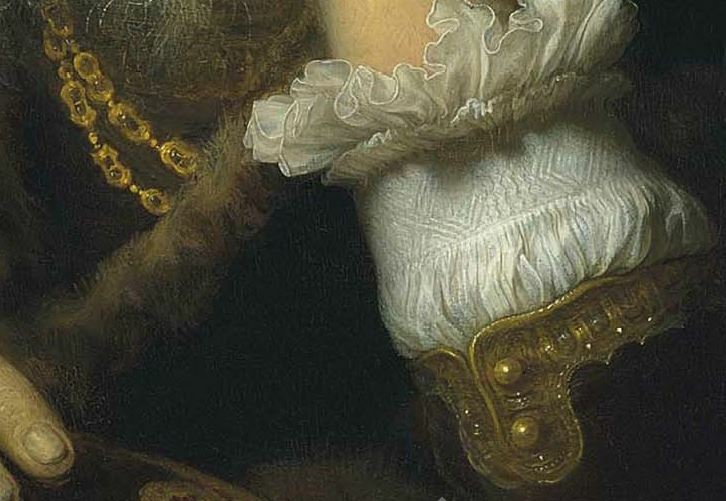 The Flinck is a beautiful painting. Surely worth as much as one of Ivanka Trump’s $ 10 M bracelets. I know which I would rather have.